Eighteen and half inch long , 2mm, silver plated snake chain necklace with two inch extension chain. On the chain are 34, graduated, tie shaped, silver plated dangles, longest one is 42mm and shortest one 27mm. 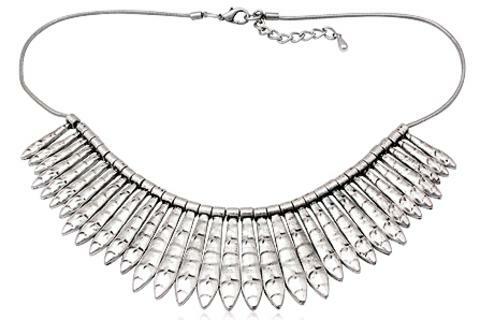 Striking necklace at a very reasonable price.